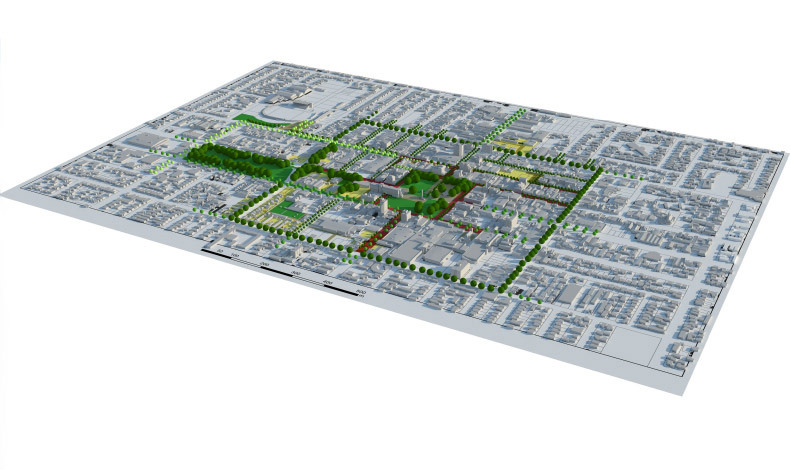 Boffa Miskell was engaged to help Palmerston North City Council develop a cohesive framework for its city centre, which will help deliver the design drivers set out in their Urban Design Strategy. The Framework is intended to help coordinate public and private investment and includes establishing a new network of city centre streets and open spaces, as well as providing for future development. Our design team, including landscape architects, prepared and supplied visual and written material to help articulate the design intent, and facilitated a number of Council officer and Councillor workshops. The project is very much about working in partnership with Council officers, delivering the city’s urban design aspirations of achieving a vibrant, caring, innovative and sustainable city centre by establishing and embedding high quality design outcomes.